The fresh floral fragrance of orange flowers, white vanilla and a burst of fruity apple, red raspberry and ripe peach. Enjoy spring any day of the year with the fresh floral fragrance of orange flowers, white vanilla and a burst of fruity apple, red raspberry and ripe peach. I’m using this sachet in my undergarment drawer and love it. It’s in my clothing closet as well. 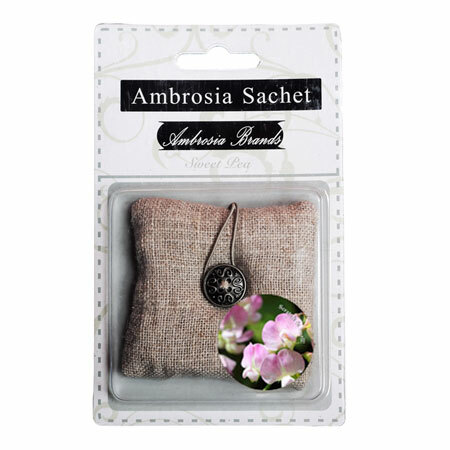 SO happy to have discovered Ambrosia Scents. Thank you for such excellent products!